The spicy marinated Korean BBQ chicken is almost enough to make you forget about our city’s regular BBQ. They don’t release the exact recipe, but you’re getting a sweet and spicy blend of soy, sesame, chili, and other magically mouth-watering ingredients. 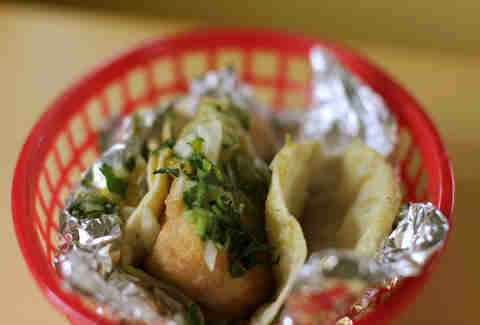 Don’t let its small strip-mall look fool you, this is big taco business. 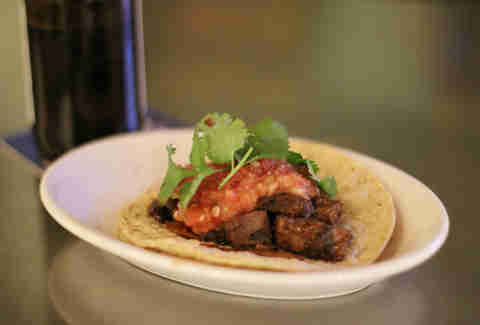 The cow’s cheek may not sound like the best cut of beef, but the King of Tacos slow-cooks and seasons it to tender perfection. You don’t need to habla español to get your order taken, but it will definitely earn you some cred if you can pull it off convincingly. 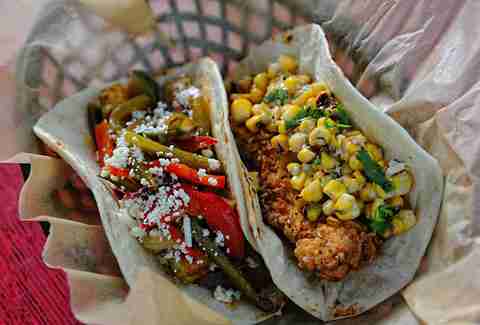 This is the only taco place laid-back enough for flip flops and shorts, yet serious enough for a valet out front. Grab the spicy pork sausage, but know that it’s plenty hot, so you’ll probably want to stick with the roja salsa, and save the habanero for later. 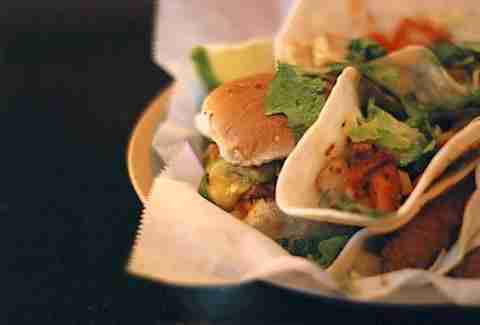 Famous for its yearly taco contest, this is proof that if you can dream it, it will come to your table. 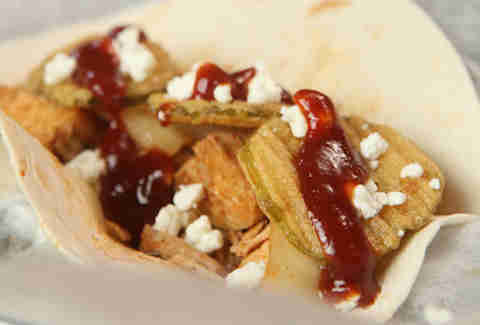 Grilled chicken and grilled onions are topped with fried pickles, goat cheese, and BBQ sauce. True to its name, this goes pretty well with a solid Southern cocktail. The black beans, zucchini, onions, sweet peppers, and queso are done so well that you’ll forget this Latin-lover is free of meat, so be adventurous and go... ugh... vegetarian, but rest assured, there're plenty of good carnivorous options, too. You know this place is authentic because it’s one of the few Mexican restaurants that is open, and busy, for breakfast, so after your huevos rancheros, grab a pepper stuffed with cheese that's stuffed in a taco and stuff it in your mouth. 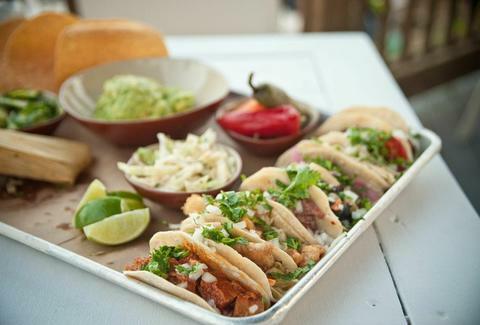 One of the Eastside’s best patios is well-suited for spreading out while you fold up one of the appropriately heavenly tacos. 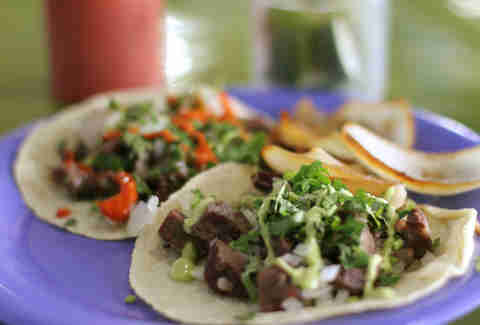 The muy-soft beef tongue welcomes a tomato & cucumber salsa with a sprinkling of greens on top to tickle your tongue. 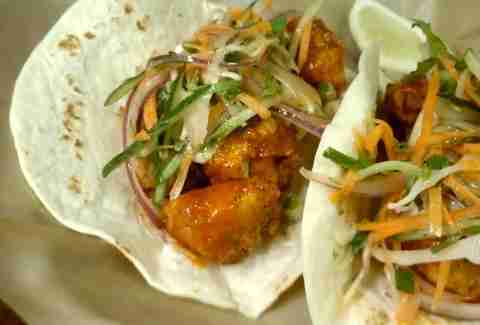 Thomas Lee deserves all his success because he is a maestro harmonizer of Korean and Mexican (and Southern) food, as evidenced by this taco with seasoned and fried chicken with a buffalo-style chipotle aioli and some Korean slaw. Tender, marinated pork is given the sweet treatment with pineapple, but also covered with heat in the form of guajillo chili and peanut sauce. A little slaw, cilantro, and onions top it off with a fragrant little crunch, and one of the dozens of tequilas and mezcals finishes the whole thing off.